Good bye 2010! You were such a lousy prick and I hope to never see you again! Well maybe in the obituary but we’ll save that for another day~~~. Yeah! 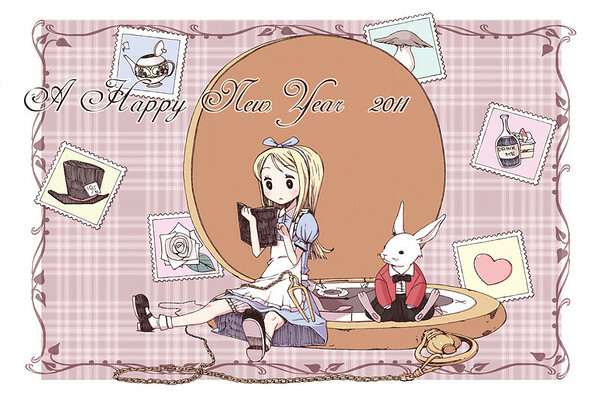 Like Alice here let’s all hope for a better year and etc as we travel down a VERY dark rabbit hole into the year of the Rabbit though technically it won’t be the year of the rabbit til Chinese New Year but technical-smenical. But like always, we should also make a list of things we don’t look forward in the new year to come. So anyway, Happy new year!